An electrifying lesson in how to set (devil) fire to a Rock N’ Roll party by five indomitable British musicians. 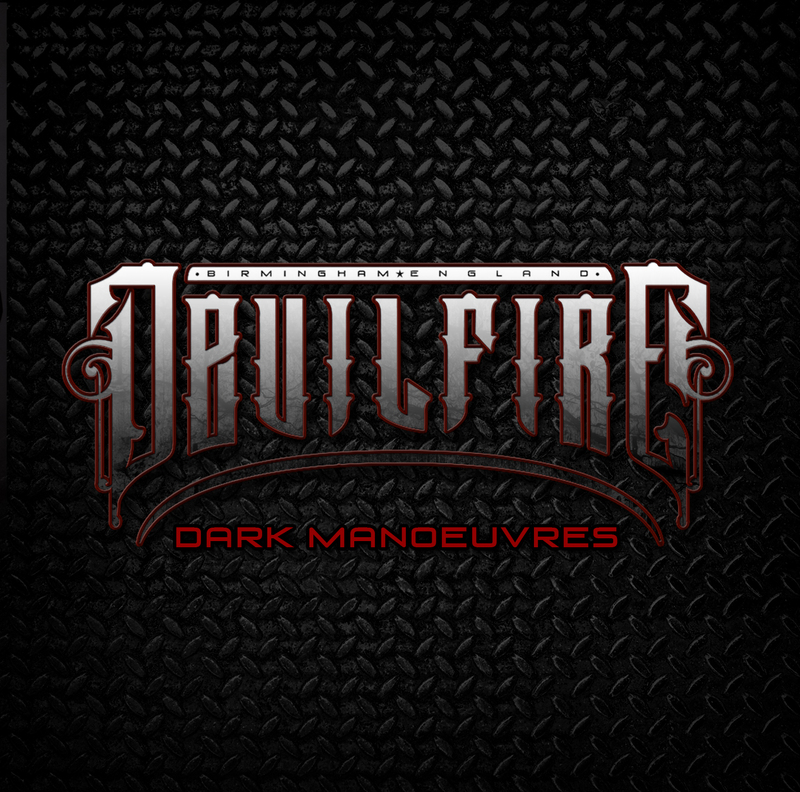 It’s said that some of the greatest bands of our time have been forged on the road, and British Melodic Hard Rock act Devilfire is no exception to that, brought into being in Birmingham, England during a studio session in 2013 when producer and singer Alex Cooper (Shy, Spike of the Quireboys, Ginger) was working with Uli Jon Roth drummer Lars Wickett, revealing to him his plan for a Birmingham-based Melodic Rock band. After 3 years of planning and writing, things finally fell into place in 2016, when the band (at that time known as Devilstar) was offered to open for Tarja Turunen during her Eastern European tour in the beginning of 2017, blasting their flammable music to rock and metal fans from places like Hungary, Romania, Greece and Turkey, as well as to a sold out festival crowd at Hard Rock Hell AOR 2017 in the UK as the icing on the cake. And the year of 2017 couldn’t have been better for this five-piece act formed by Alex Cooper on vocals, Baz Blackett and Kieran Topp on the guitars, Dan Bate on bass and Lars Wickett on drums, as they’re ready to conquer the world with their debut album Dark Manoeuvres, released in the beginning of October. Mixed by acclaimed producer Romesh Dodangoda (Motörhead, Bring Me The Horizon, Bullet For My Valentine) and co-produced by Romesh and Devilfire frontman Alex Cooper at Long Wave Studios in Cardiff, Dark Manoeuvres is a mammoth 13-track album calling on several distinct influences with a darker melodic sound, pushing the boundaries of Rock N’ Roll while at the same time remaining loyal to their British roots. Rock N’ Roll is in the air with the smooth sonic waves blasted by Devilfire in the opening tune Ready For War?, an excellent business card delivered by the band presenting an 80’s-inspired vibe led by the passionate, raspy vocals by Alex, followed by She’s Like Fire, a born-to-be-a-classic of underground Hard Rock where they speed up (and spice up) things considerably, perfect for dancing the night away with whoever you want to the sound of its catchy chorus and the precise beats by Lars. More melodic and romantic, (In and Out of Love) All of the Time is a potent display of classic 80’s Hard Rock, a song for all rockin’ girls out there energized by the fiery guitars by Baz and Kieran; whereas Waiting For a Rockstar, a mid-tempo chant with a fun story told by Alex, brings hints of symphonic elements in the background to make it even more impactful, turning it into a serious candidate for becoming one of the band’s biggest hits. In Lay It On the Line, a semi-ballad with the band’s characteristic approach, we’re treated to harmonious guitars and beats while Alex keeps firing his sharp vocal lines, reminding me of some of the old tunes by Motley Crüe, Bon Jovi and Poison, among other classics, while Kill Your Love is another awesome composition by this talented quintet, sounding faster and more violent than its predecessors (but still very melodic). Hence, this fantastic song could be played on any radio station all over the world, showcasing addictive vocals and soulful guitar solos and, therefore, being captivating form start to finish. Tear Me Apart is that kind of generic ballad that, despite having its good moments, is below the rest of the album in terms of creativity and complexity, albeit still displaying the band’s trademark guitar solos and overall solid melody. 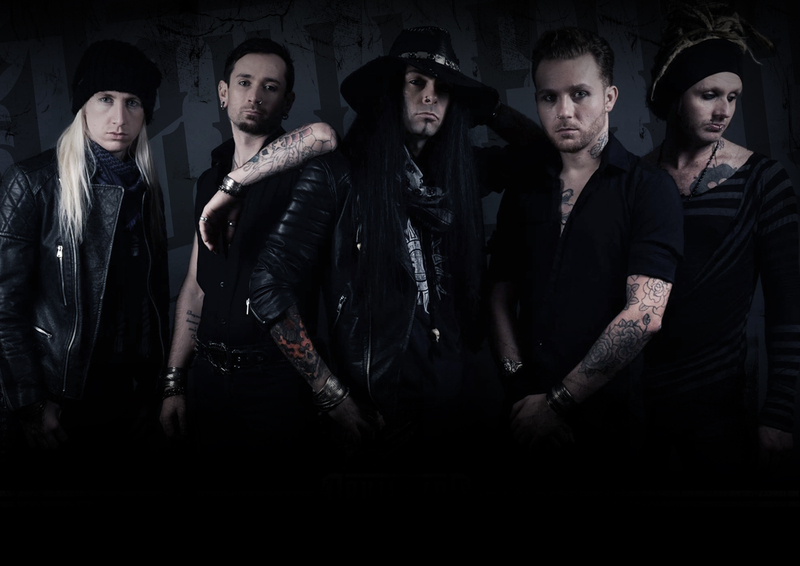 Fortunately, the band gets back on track in God Give Me Vengeance, a song to do the famous “air-drumming” together with Lars due to its catchy rhythm, presenting a fusion of modern Hard Rock with old school Rock N’ Roll boosted by touches of symphonic sounds. Baz and Kieran are joined by Dan and his bass for an onrush of slashing strings and rumbling sounds in Devil In Your Eyes, tailored for fans of old school Hair Metal and Hard Rock, before the entire band comes crushing with the underground hit (You Gotta) Revolution, blending the classic sonority of bands like Van Halen with the rebelliousness of Motley Crüe, with Lex being flawlessly supported by the song’s elegant and potent backing vocals. Put differently, if Devilfire don’t play this song live, we riot. Anyway, She’s Always On the Run is another average ballad that doesn’t do any good nor any harm to the album, feeling like filler despite being one of their first ever songs recorded; however, for our total delight their upbeat musicality returns in great 80’s fashion in A Thousand Times, a song that made me think that if I didn’t know it was recorded now in 2017, I surely might have thought it was recorded back in 1980 something by a veteran Hard Rock band, mainly due to its beyond classic combination of vocals and backing vocals. And lastly we have the melancholic Somehow, which in my humble opinion is how the band should always sound when writing ballads, avoiding being cheesy or predictable. Quite the contrary, it’s very introspective, pleasant and deep, and consequently an interesting way to conclude the album without being literally electrified, but still feeling electrifying. How can you put your hands on such top-tier album of Hard Rock, you might be asking yourself, right? Well, that’s easier than you can imagine, as Dark Manoeuvres is on sale at the band’s webstore, on iTunes or on Amazon. And in order to show your proper support to Alex, Lars and Co., simply go check the band’s Facebook page, YouTube channel and Spotify for news, tour dates and all other things Devilfire. Dark Manoeuvres is a lesson in how to set fire to any Rock N’ Roll party in the world, and if I were you I wouldn’t miss that celebration for anything. Best moments of the album: She’s Like Fire, Waiting For a Rockstar, Kill Your Love and (You Gotta) Revolution. Worst moments of the album: Tear Me Apart and She’s Always On the Run.